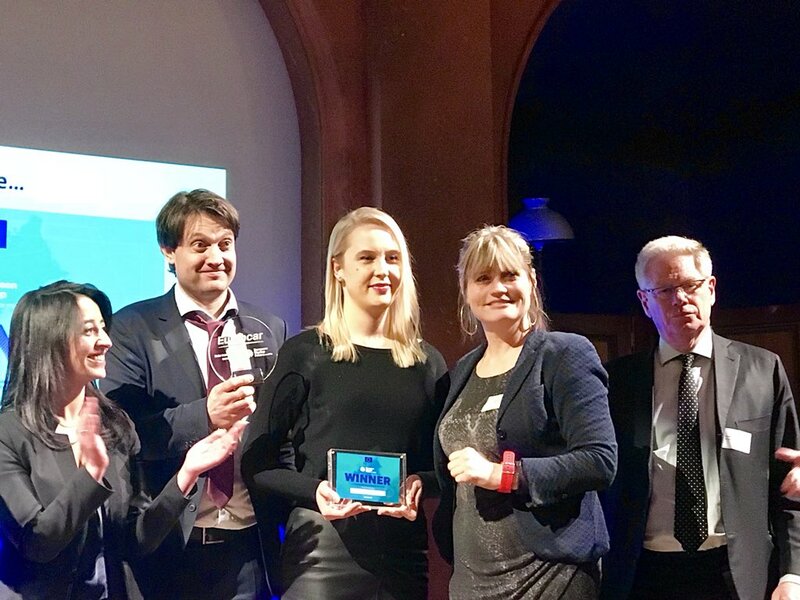 Europcar Group, a major player in mobility markets, is a European sponsor of the European Startup Prize for Mobility and is pleased to give a Europcar award to the Finnish startup MaaS Global amongst the 10th selected finalists for the prize. The European Startup Prize for Mobility reward the most innovative European startups in the mobility sector by supporting them in their international development. It is a European public-private initiative whose aim is to develop a green and connected mobility. Imagine if all your daily travel needs would be covered with one simple app and payment – directly from your mobile. Travel as much as you like with a flat fee, or pay-as-you-go, with public transport, taxis, cars, bikes and more. MaaS Global Ltd is bringing into reality the concept of Mobility as a Service (MaaS), by building the world’s first mobility ecosystem. The revolutionary mobile app, Whim, brings all means of travel together and liberates people from the high costs of owning a car. “As a major mobility player, Europcar Group is very proud to be part of the European Startup Prize for Mobility initiative. Our choice focused on MaaS Global as they are an innovative alternative to car ownership, as it is also one of our objectives by offering carsharing and ride hailing solutions to our customers. Being a sponsor of the European Startup Prize for Mobility is really important for us as we are constantly taking a look at new ideas and startups in order to be able to propose more mobility solutions to our customers. We are looking forward to see how we could work with MaaS Global.”, declared Sheila Struyck, Managing Director of New Mobility Business Unit. A European tour of several major cities (Barcelona, Paris, Berlin, Copenhagen, Tallinn) promoting new mobility solutions will be organised for the ten final startups. At each stage, startups will meet public and private decision-makers, investors and experts from the local ecosystems to develop their projects, and will participate in major European technology fairs. The Europcar Lab is the innovation unit of the Europcar Group. It has been designed to nurture ideas for research into the company’s new mobility packages and services. It supports in-house projects and take minority or majority stakes in innovative businesses. The acquisitions of Ubeeqo, E-Car Club, Wanderio (minority stake), Brunel, Bluemove and lastly SnappCar (minority stake) have been made through the Lab. The Group’s mission is to be an attractive alternative to car ownership by providing a wide range of mobility solutions: car rentals, Vans&Trucks, “chauffeur service”, car-sharing or peer-to-peer. With its subsidiary Ubeeqo, its customers are able to use car-sharing in the biggest cities in Europe: London, Paris, Brussels, Madrid, Barcelona, Sevilla, Milan, Berlin and Hamburg. Ubeeqo is simple to use whenever you want, from one hour up to several days, fuel and insurance are included for each rental. With the application you can locate a car available in a parking to find the nearest one. Finally, Europcar Group has just announced recently the launch of its Drive & Share solution in Germany and Denmark together with SnappCar, the second-largest international peer-to-peer car sharing player in Europe, in which Europcar Group is a significant investor.